An elegant, unique hybrid cabin blends steel, stone, log and conventional framing to create a sophisticated Western feel. Inspired by the mountains and forests that surround it, this home combines quintessential elements of the mountain palette to create a spacious sense of comfort and luxury. With beautiful, handcrafted details and finishes, this spectacular home nestled into the mountainside is the perfect retreat after a day of alpine adventure. 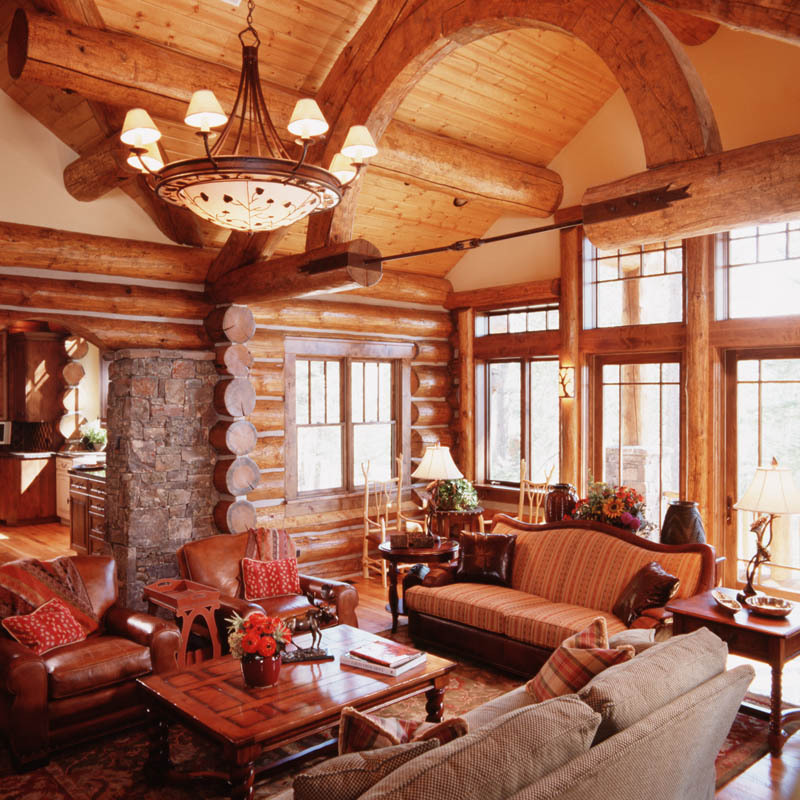 The Granite Ridge Log Cabin was featured on the cover of Log & Timber Style, as well as in Log Homes Illustrated.